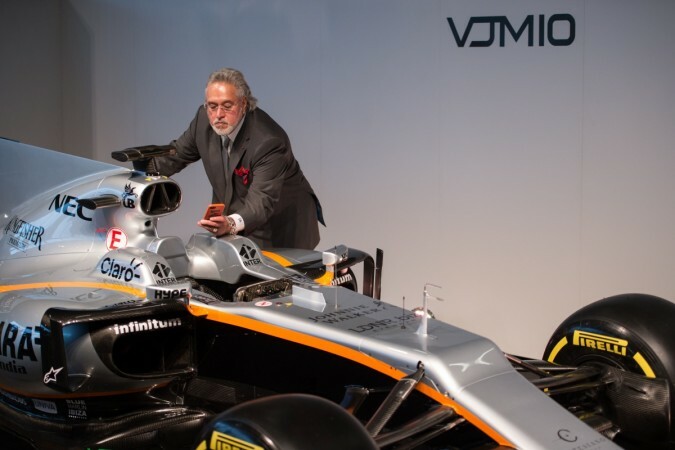 Vijay Mallya wants Force India name changed: Is 'India' really scaring the business tycoon now? Vijay Mallya came aboard the F1 team in early 2008, but the liquor baron is now worried about the name 'Force India' not having a global appeal. Vijay Mallya is a wanted man in India and the countrymen don't like him either, considering what he has done over the last few years. Arrested by the British police in April on charges of non-repayment of loans worth Rs 9,000 crore to 17 banks, the disgraced business tycoon is now contemplating a name change of F1 team Sahara Force India. Reason No 1: The name doesn't really have a global appeal, hence does not attract international sponsors. Reason No 2: There is no Indian driver. The Silverstone, United Kingdom-based Formula 1 team, where Mallya came aboard early 2008, while he was the chairman of the United Breweries (UB) Group, finished fourth in F1 season 2016. Currently, Sahara Force India, whose chairman remains Sahara India's Subrata Roy, is fourth as well after seven races so far this season. Mexico's Sergio Perez and France's Esteban Ocon remain the two race drivers. "There is a growing feeling that maybe since we are a much-improved team in terms of performance and attracting more international sponsors, and sadly less Indian sponsors, there is a debate as to why the name should not be changed to give it a more international flavour," Mallya told the official website of Motorsport. "There are some people who believe the current name Force India is restrictive psychologically. I'm considering along with the other shareholders what steps to take, but it's a major decision and one that is not going to be taken in a hurry without due consideration," he added.